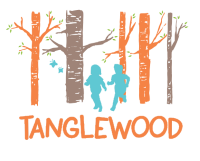 Tanglewood provides qualified Forest School Practitioners to deliver a Forest School programme either in your school grounds, local woodland or at our Woodland Site in the village of Tissington in the Peak District. 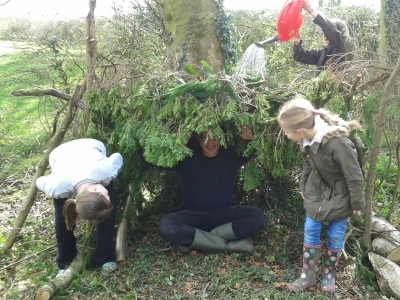 Staff at Tanglewood have been delivering Forest School programmes for a number of years and have experience of working with a variety of schools and settings. A minimum period of 6 weeks, 2 hours per week. Forest Schools is flexible in its approach so please contact Tanglewood to discuss your requirements in more detail. If you would like to arrange a free introductory meeting at your school to discuss your requirements in more detail please let us know. For more information on the Forest School approach please take a look at the website for the Forest School Association (The FSA) www.forestschoolassociation.org - the national professional body for forest schools in the United Kingdom. Forest Schools originated in Scandinavia in the 1950s as a way of learning about the natural world. By the 1980s they had become an integral part of the Danish early years programme. 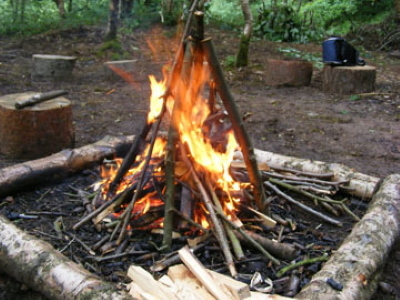 A Forest School is a secure area of woodland, which acts as an outdoor classroom where people can explore, investigate and discover the natural environment. They offer children, young people and adults regular opportunities to learn social, physical and educational skills while encouraging an appreciation and understanding of the environment. They also provide a valuable teaching tool for a wide range of curriculum subjects and are a good way to support and enrich the learning process over a wide range of subjects. Programmes run throughout the year going to the woods in all weathers (except for high winds). Children use full sized tools, play, learn boundaries of behaviour; both physical and social, grow in confidence, self-esteem and motivation. Communicating, and negotiating with peers and adults to solve problems and share experiences. Curriculum Links – Forest Schools supports many areas of the Early Years Foundation Stage framework, National Curriculum and the Every Child Matters agenda.